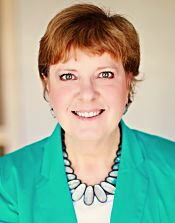 Lois Long is an executive real estate broker salesperson with Realty Executives of Cape County, the leading real estate brokerage in Cape Girardeau County. "I bring you home" is both her motto and her commitment to her clients. A multi-million dollar seller each year, she knows that it's all about them. Regardless of the price range, buying and selling a home is a very big deal to Lois, because it's a very big deal to her clients. She believes in listening first to their goals, wants and needs. She makes sure clients understand the process every step of the way, so that each choice is a good one and the outcome even better. And if she can make the process a little bit fun as well, all the better. Lois is a broker, has e-PRO certification for today's technology and is an Accredited Buyer's Agent. She has also received specialized training in working with the special needs of senior citizens. Prior to her real estate career, Lois was an award-winning television journalist and communications specialist. She is active with the Southeast Missouri Board of Realtors, community organizations and her church. She shares her Jackson home with Jeff, her husband of 35 years, who is also a Realtor, as well as an adjunct faculty member at SEMO, columnist and pastor. They have two daughters, and a dog and three cats – all of whom are just a little bit crazy (the pets, not the daughters...most days).